Speeding up your standard ASTM D86 analysis? Speeding up your standard ASTM D 86 analysis? Are you in Refinery lab and is increasing the throughput of your ASTM D86 analysis on your mind? Then this post might be interesting for you. Please feel encouraged to comment on this post or contact me to exchange more insights. Standard ASTM D86 method has been the norm since 1927. The runtime of over 30 minutes for this procedure triggered a lot of innovation. With the introduction of GasChromatography, back in 1958, some big steps in efficiency were already realized. 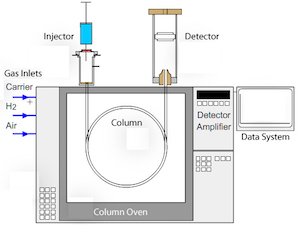 The core quality of the FID detector is Wt% measurement, but ASTM D86 method reports Vol% and temperature. This problem was solved by the STP 577 correlations of Ford et.al between SimDist D2887 and D 86. With Detailed Hydrocarbon Analysis of D 86 sample groups 1 and 2 compositional information is added to the distillation curve. 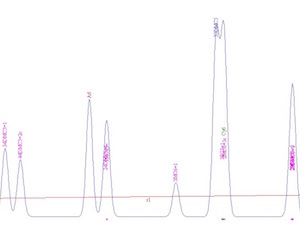 Sample composition, reported by DHA is a list of (identified) GC peaks. And this can be converted to physical properties by correlational models or by chemistry based models. So far, so good. Correlations are the shortest relation between input and output. So the correlation models are fast, but require a lot of maintenance for different GC methods and sample types. Contrary to correlational models, chemical models apply appropriate physical laws to sample composition. The big advantage of chemical models over correlational models is that optimizing a correlation requires new curve fitting between new GC and D86 analyses on many new samples, while the correction of the IBP result simply can be done by tweaking of D86 setpoints, like temperatures of (1) the sample and (2) the heater before IBP and the thermometer droplet size. The AC 8612 analyzer, launched in 1998, applies the Fugacity-Film model to ASTM D86 with Detailed Hydrocarbon Analysis input. Breakthroughs in the areas of: TPGC database calculation from isothermal Kovats index data, API-44 n-Paraffin properties and DHA pattern recognition helped to further improve the accuracy. 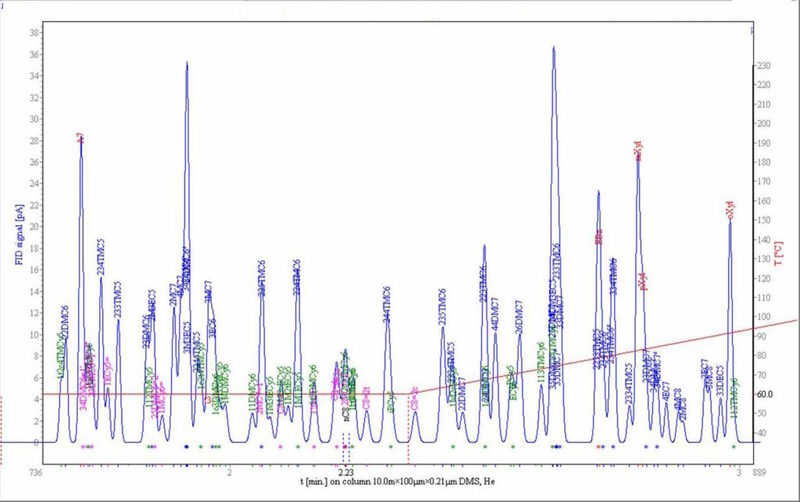 High resolution Gas-Liquid Chromatographic peaks can now be identified better by Kovats index, including handling of coelutions. This resulted in Virtual GC software which can generate Kovats indexes and predicts peak coelution. In the StillPeaks DHAtoD86 software the Virtual GC tool is the innovation under the hood providing near to perfect input for predictive D86 software. 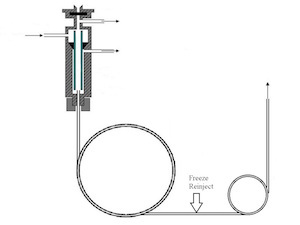 In this specialized D86 software StillPeaks introduces a new combination of adjustable meaningful set points: sample temperature, heater temperature before IBP and the thermometertip droplet size. 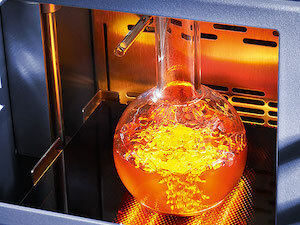 Compared to Distillation GC can be operated with an auto sampler, is inherently safer and takes less routine workload. GC runtimes of less than 6 minutes can be optimized with Virtual GC software that can predict coelutions on Phenyl-Methyl-Silicone coated capillary columns. Compared to the 30 minutes ASTM D86 method runtime, the time to result with DHAtoD86 can be around 5 times faster. Predictive DHAtoD86 software can be applied as a fast and accurate screening analysis for bulk and is complementary to identifying the exceptional and outlier samples with the standard ASTM D86 analysis. We currently look for feedback on this DHAtoD86 software from professional experts from Asia, the Middle East, Africa and Australia. Are you operating in this field of expertise? Please take a look at a video on YouTube or on Chinese Tudou. We are interested in your professional feedback below this post or you can send it to Info@StillPeaks.com.